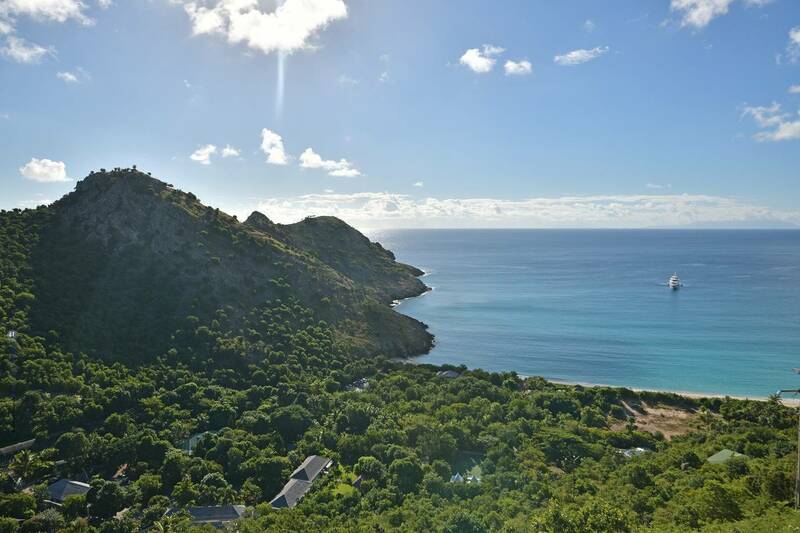 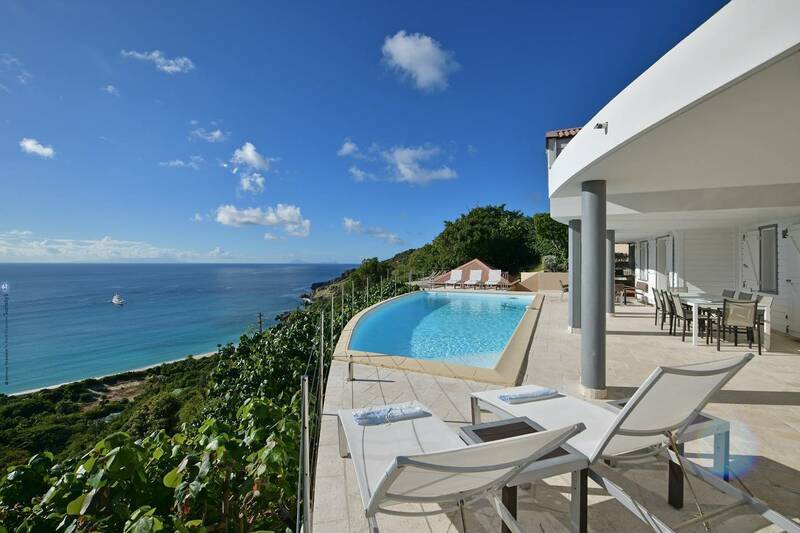 Dream About: Your toughest decision being to take your morning swim at gorgeous nearby Gouverneur Beach or in your oversized crescent-shaped pool. 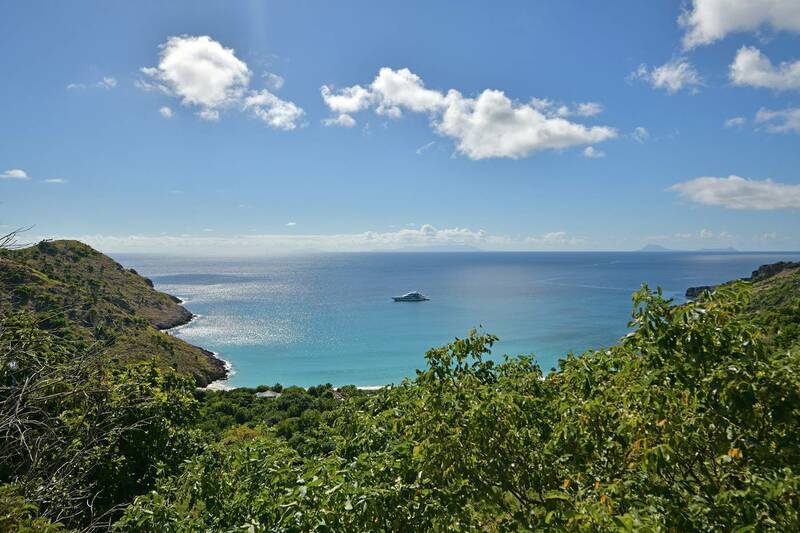 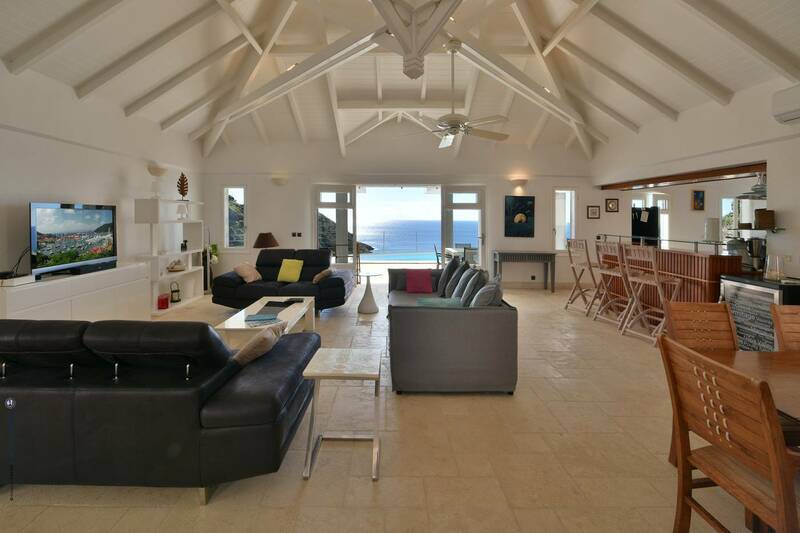 Just two minutes from Gouverneur Beach and boasting a delightful view of its Caribbean blue waters, the nicely private four bedroom Villa Bleu Outremer is an idyllic vacation home (and the perfect choice for fans of this gorgeous beach!) 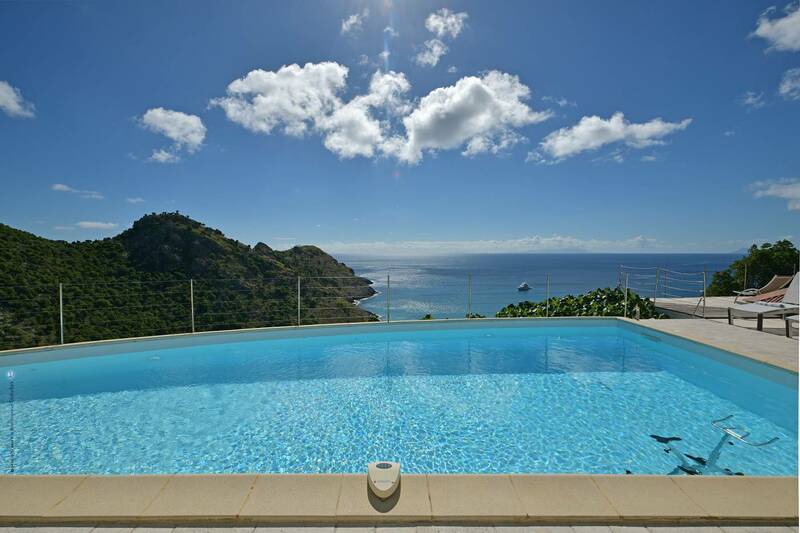 An oversized crescent-shaped pool is ensconced on an expansive deck and flanked by teak chaise lounges. 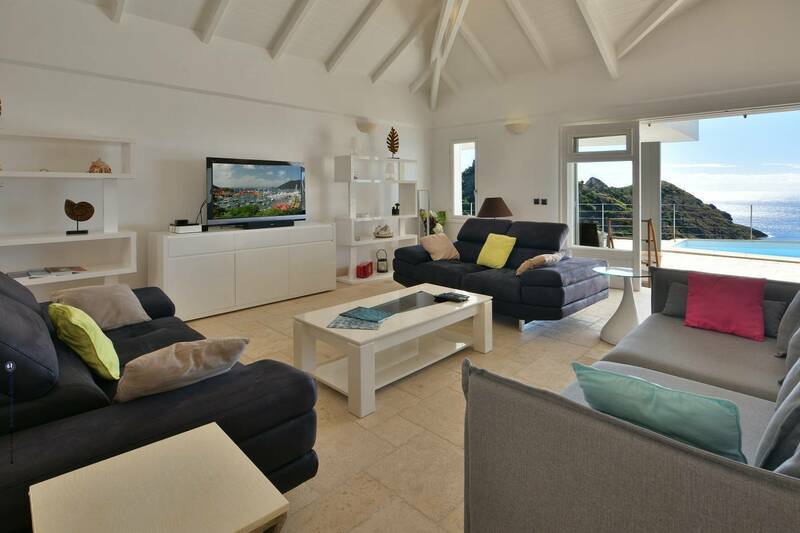 The hillside villa’s outdoor living spaces include a covered dining terrace and a rear courtyard. 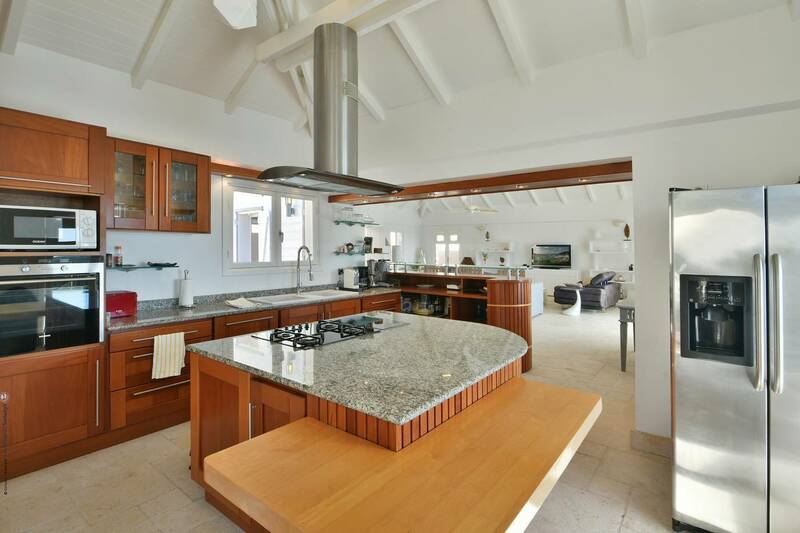 Indoors an open floor plan contains a spacious living room and a dining area separated from a sleek kitchen by a striking breakfast bar. 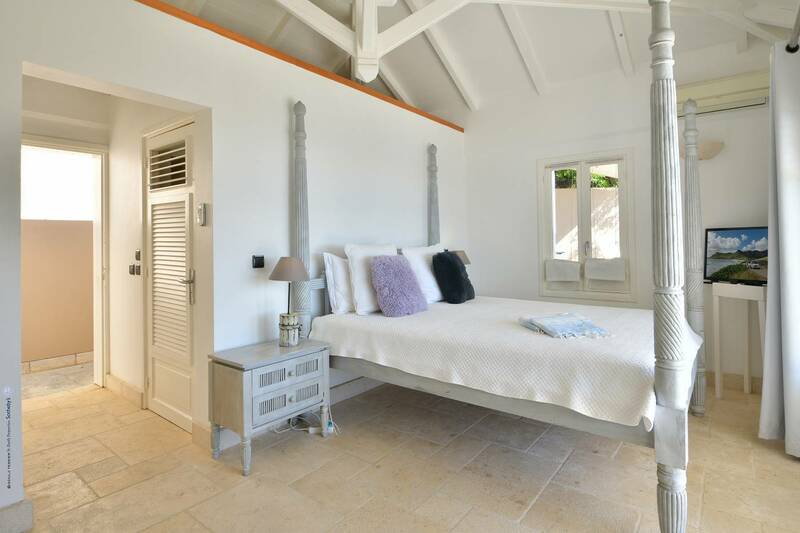 The four bedrooms all have baths en suite and either a queen or king-size bed; three are located to the left of the main building and the fourth is tucked away on a lower level and has the added bonus of a private balcony. 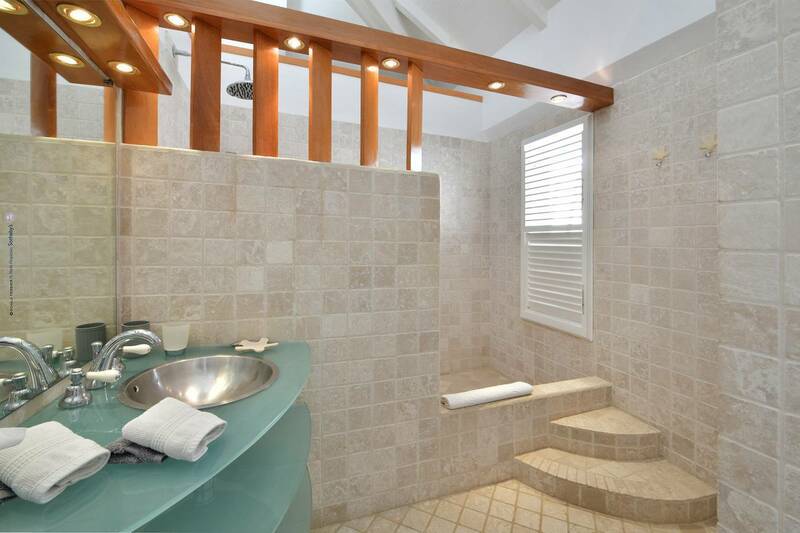 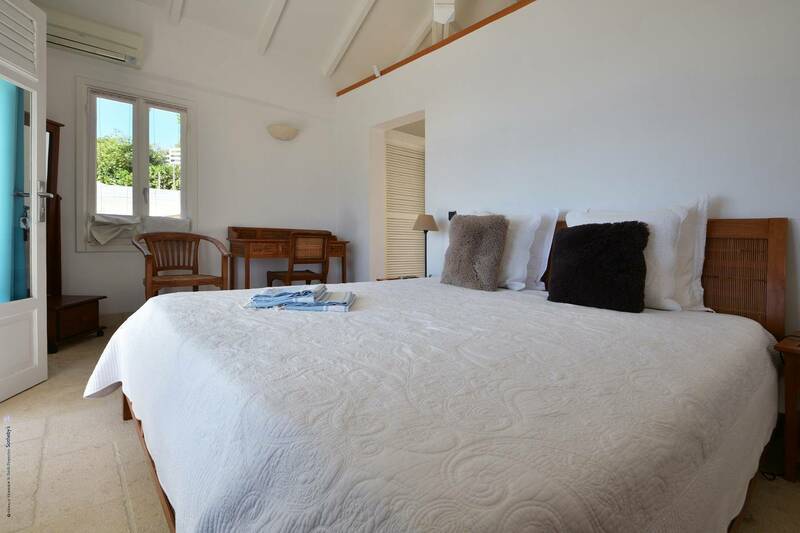 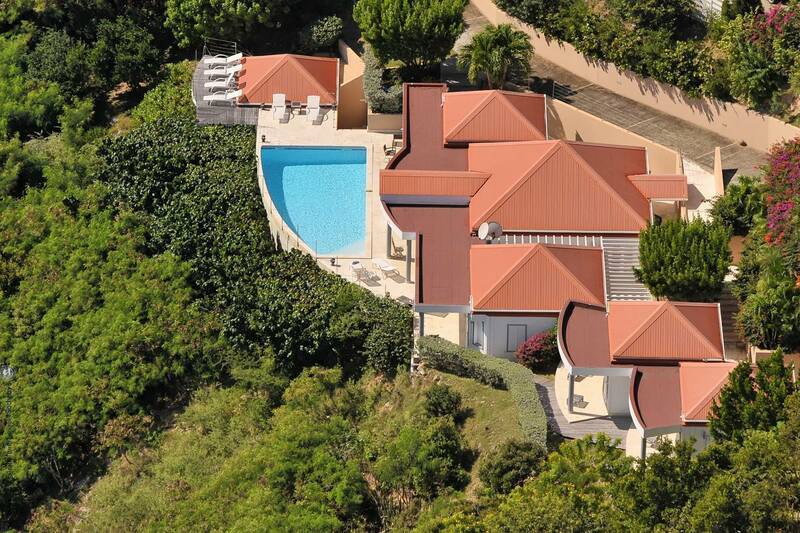 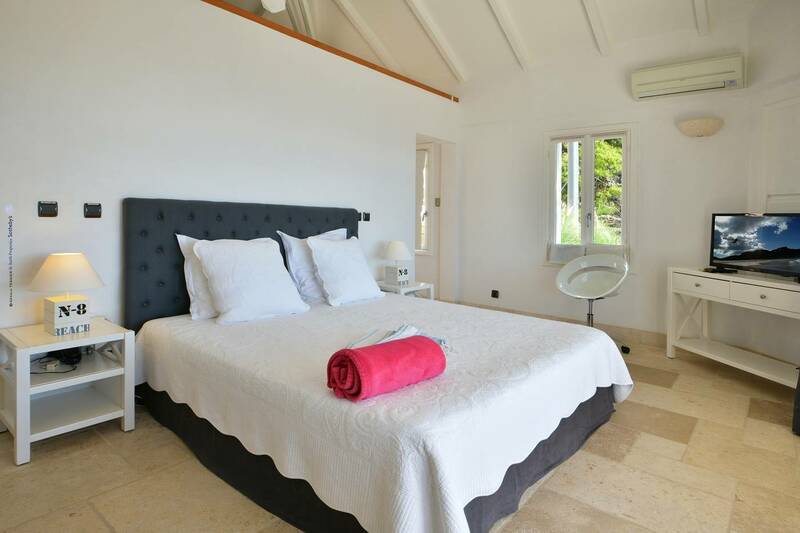 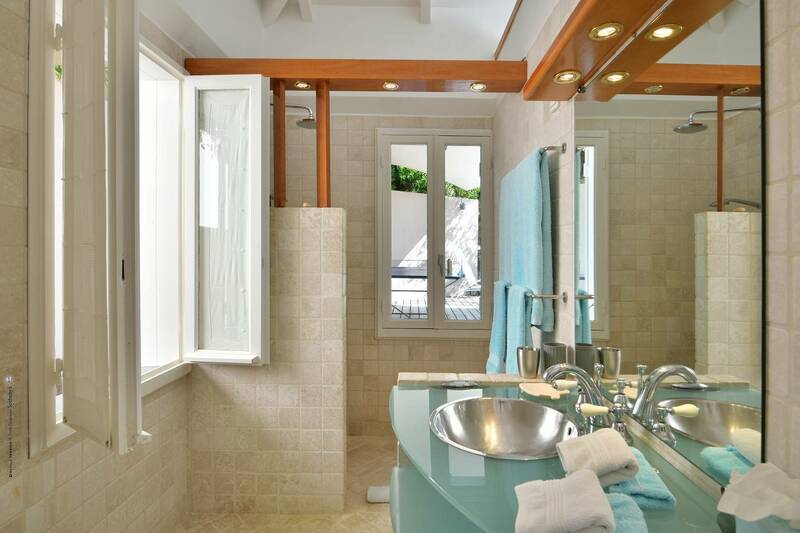 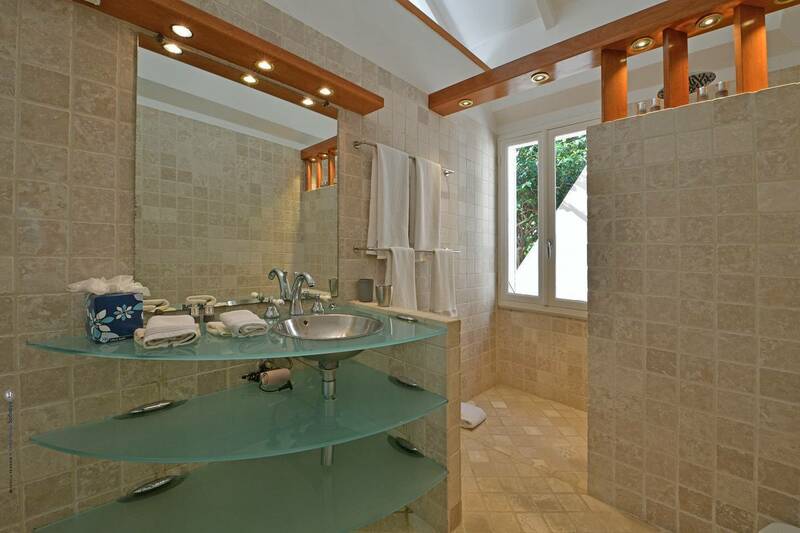 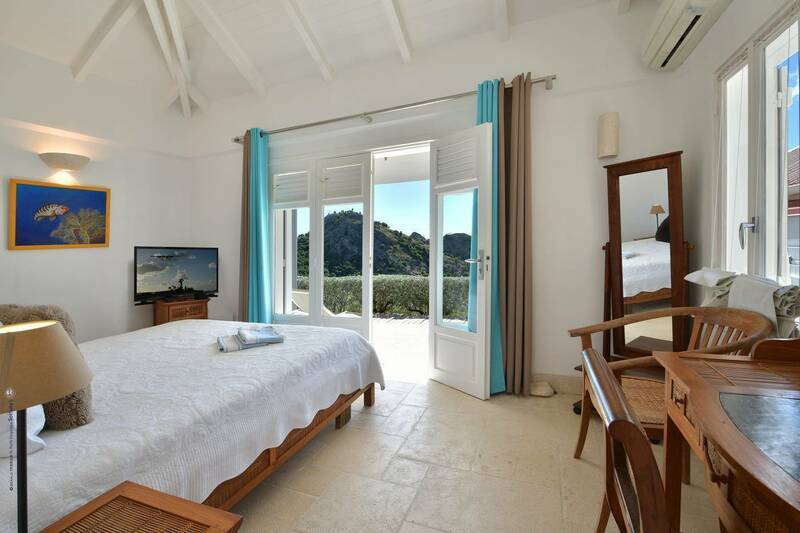 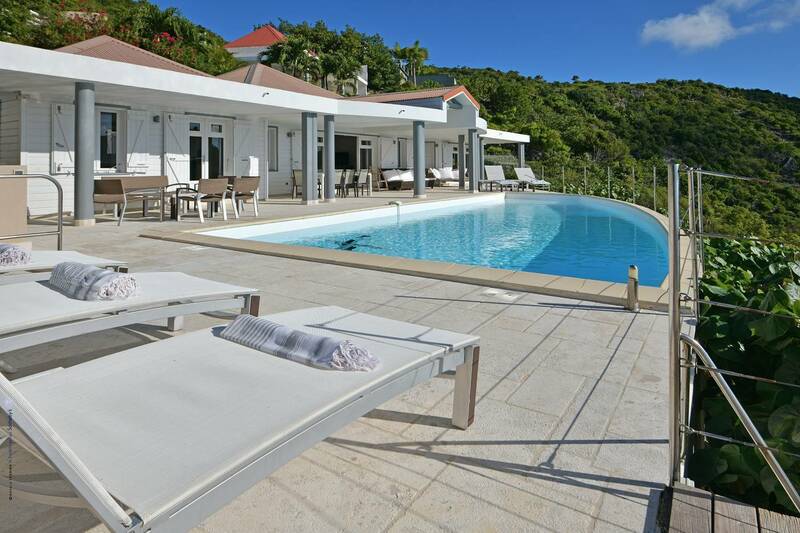 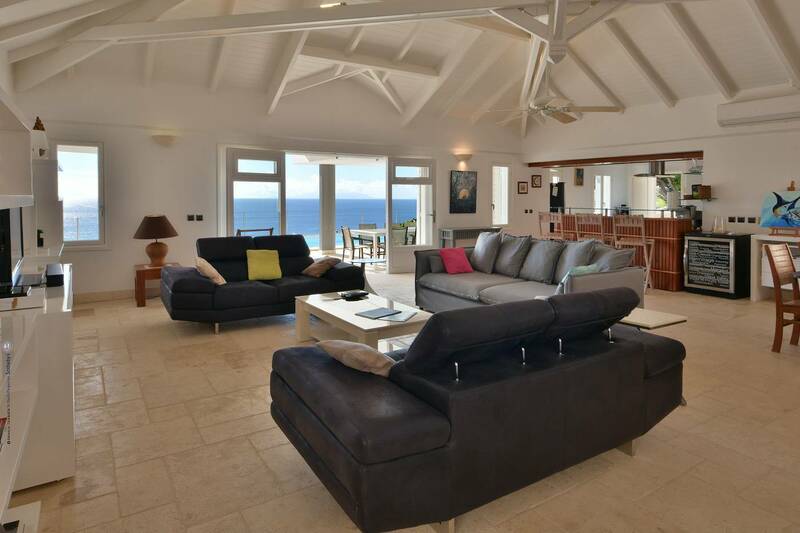 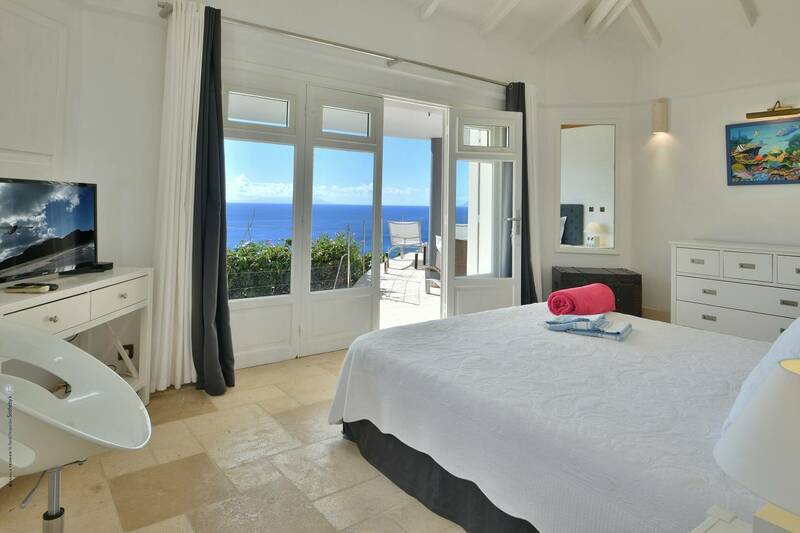 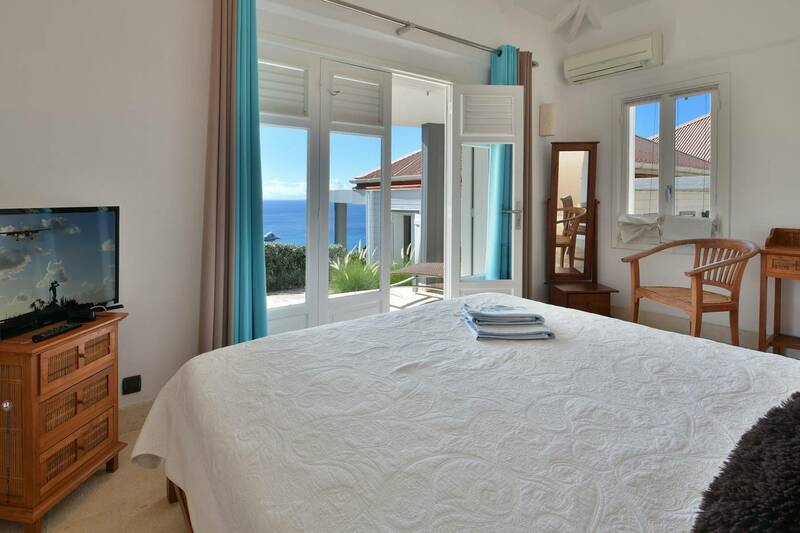 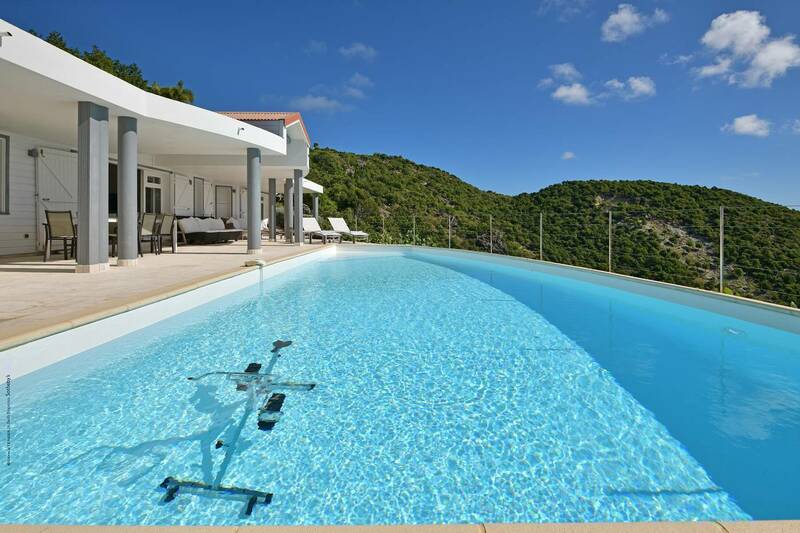 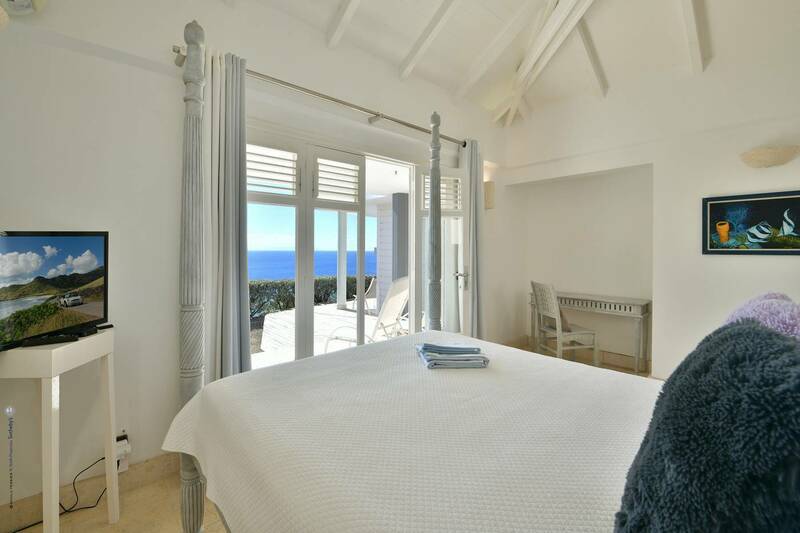 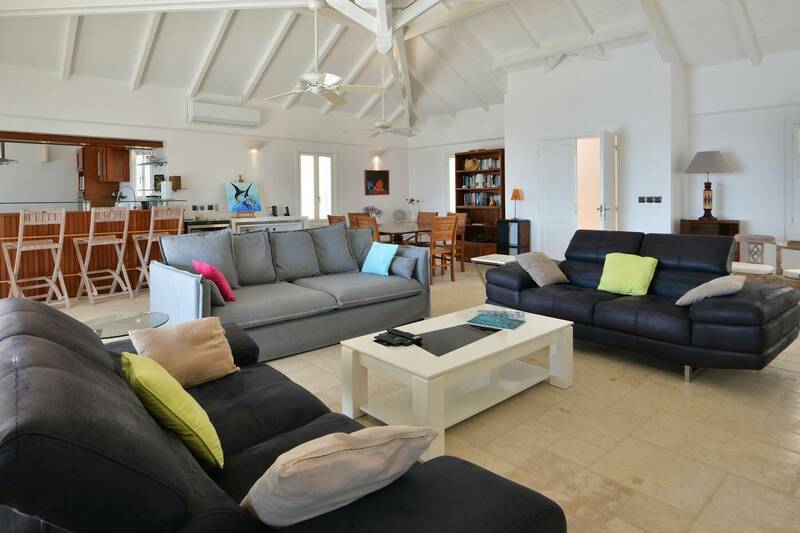 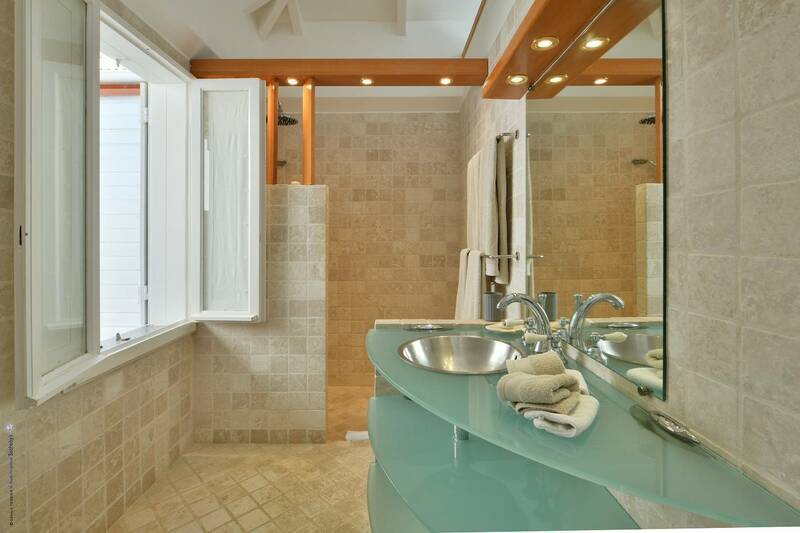 If seven bedrooms are needed, villa Bleu Turquoise is located just behind villa Bleu Outremer. 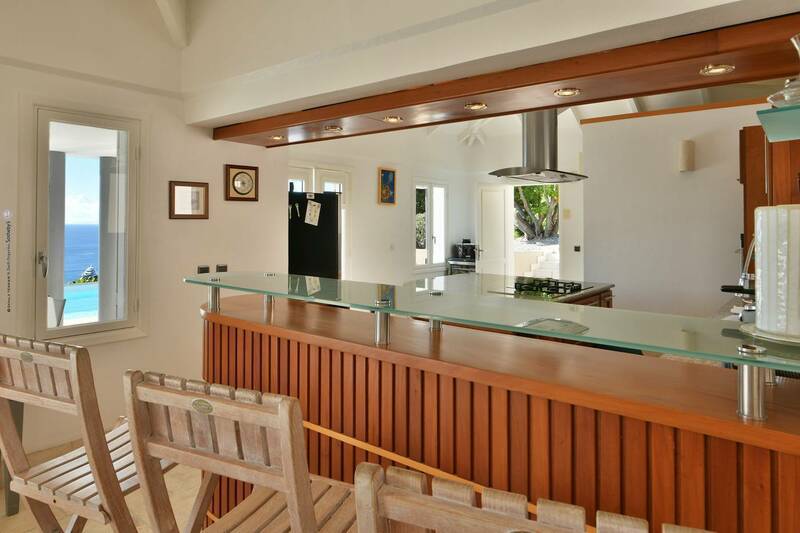 The kitchen with its distinctive breakfast bar. 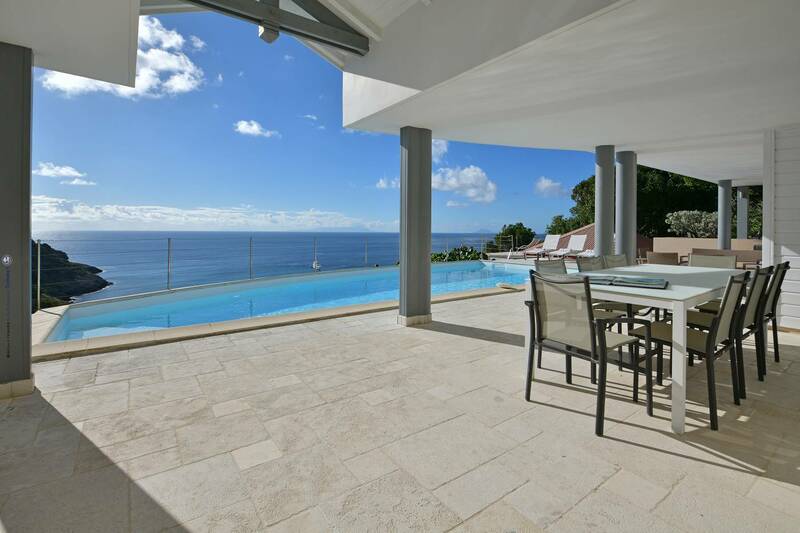 Outdoor spaces include a covered deck for dining and a courtyard.